Check how can you start making a passive income for free of cost. Just be sure you keep on writing fresh, meaningful new blog posts. 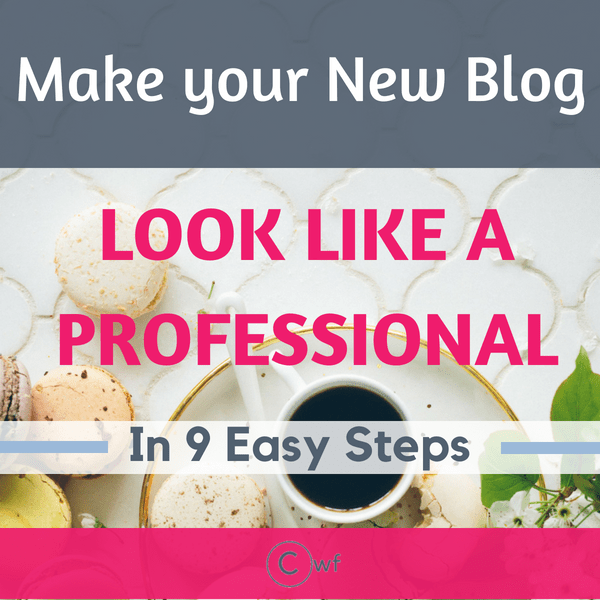 Okay, now I know you have just started, so how to make your blog look like a pro (like professional blogging) so it doesn’t look gloomy at all. Have you seen any top blogs showing up any useless things in the sidebars? 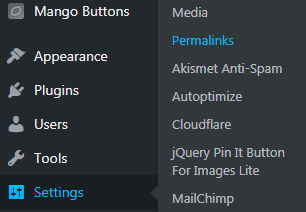 Sidebars by default have many tags, categories, RSS feeds and others. You need to customize it to show the most important things. Keep only the blocks which you feel right to display. 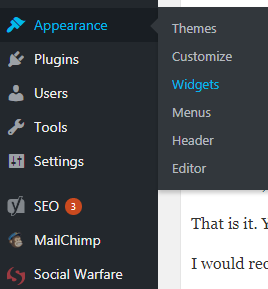 In the available widgets section, you will find a number of widgets as a custom menu, pages, meta, calendar, recent posts, RSS links and many more. You can simply drag the ones you want to display from available widgets to the sidebar and vice-versa. You can choose to display your Pinterest profile widget, categories or any particular ad or anything else which you feel it will be useful for your users. Have CLEAR and SIMPLE navigation for your entire website. A. You can either edit the menu or create a new one. Am assuming you are totally new, so create a new menu and name it anything you like. B. This is where you will set your menu. 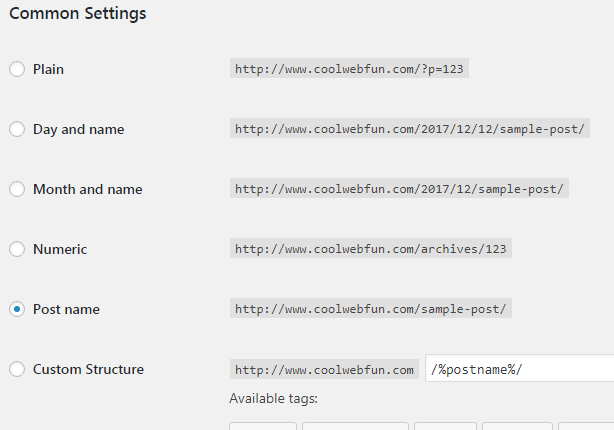 In the menu structure, you can drag any of your posts, categories. On the left, you can find all your posts and categories to be dragged. This is what my menu looks like. C. You can even create sub menus which will be displayed as drop-down lists when the mouse is placed on the particular menu. 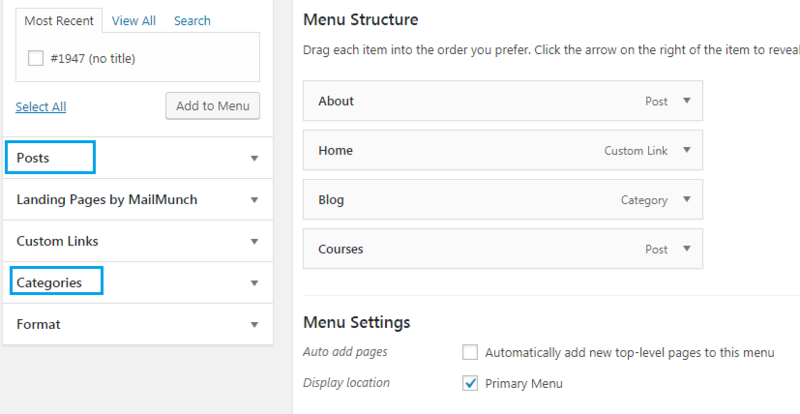 To create sub-menu select the category/post and add it to a menu and place it beneath the primary menu where you want it as sub-item. For example, I have put the SEO category on my Blog menu. I cannot say enough that how much is it required for SEO purpose. Permalinks should have a clean structure and not something which can confuse the search engines. Check the options. You can set in any format. But ALWAYS choose the one which will give you a clean URL. No dates are required, neither the month when you publish. Just your blog name along with the Post title. Check out how permalinks effect the On page SEO. I know it is really difficult to choose and settle for one theme at first. If you have just started with your site then definitely you will be trying out different themes to see which works best for your niche and overall feel. But once you start marketing your blog then I would prefer not to change the theme anymore. Your theme and blog structure is the first impression you make. So have your trial and error before you start marketing your posts. You can definitely use the free WordPress themes but you will not get any sort of support there. If you are really willing to take blogging professionally I would like you to check the Elegant Themes. Specially the Divi themes in it. It offers a very easy drag and drops feature with full customization and amazing support. Click on the image to check. A favicon is not necessary but it helps to recognize your blog when many tabs are opened in the browsers. You can put your website logo as favicon. It will direct you to your theme customization. Find out site identity. There you will be able to change your favicon. You can create your Favicon in Canva for free. Generally, 512*512 dimension works best for the favicon size. Alright, so we have come to a part now where it will make your blog different from the rest. You may not know but your about page is the most visited page on your site. My about page is very simple. Just my qualification and personal interests. You can include anything you want to showcase on your about page. Check out Wonderlass about page. She also says about her achievements here. You can pretty much include anything you want to say to your readers. Now next comes the Disclaimer part. It is an essential legal part if you are having/wish to have any sort of monetization on your blog. Check out the links for a referral. When you see a headline which is attention-grabbing, be sure it is from a well-established blog. Take care of your Post Titles. 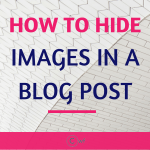 No one is going to click if your Post Title does not convince or intrigues them to do so. I like this post about statistical prove of content headlines which get results. You can check how your headline scores in Headline Analyzer. Its free and it’s awesome. You should also include keywords in your Titles for SEO purpose. Check out How to find keywords for your posts. Be consistent in your writing style. Do not ever try to copy any other successful blogger as that will make you only second to her. There are so many bloggers whose writing style you will like, so how many will you copy? Always remember YOU ARE YOUR BRAND. So if you are trying to be someone else then how will your Blog going to stand out? Gravatars are Globally Recognized Avatars. When you comment on any blog, mostly it picks up your gravatar image as a display image. As said earlier You are your Brand so would definitely say to use the same picture all through your business social profiles like Pinterest, FB business page, your blog, Twitter business account or any other. It helps readers recognize you and your blog. It is like creating a brand identity. Use any good, clear close-up picture. Here you can set your gravatar image. Once when you have completed all the steps, I would really recommend you to check Scrivs Dare to Conquer. It is much much more worth the price. I wish I would have come to his community when I just started. I had spent on several blogging courses. Some did not burn a hole in the pocket while some did. In fact, earlier I had made a list of 2-3 courses which I would have like to buy when my blog earns well. But after I joined DTC my whole perception about blogging changed (I do not need any more courses). I cannot thank him and his slack community enough to make my blog successful. Trust me the slack community will make you feel as if you are working with co-workers and you will never ever really need any other blogging courses. 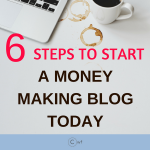 If you are a newbie, this is the best thing you can do for your blog. This post may contain affiliate links which means I would receive a small commission without you being charged anything extra. ← How to exactly make 1000$ with a Free Teachable account? Hey Sanjul, as i checked it’s a brand new blog. But it have the ‘blogspot.in’ in the address url. 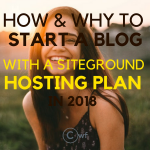 If you want to take up blogging professionally you really need to get a self hosted domain. Even Google prefers the self hosted domain in search results. Very nice and handy article. ! I just set up my avatar the other day! I got so frustrated that everyone’s picture was showing up that I got my way through it ? New here and I’ll be sticking around !! Obrigada! Estou entusiasmada para aplicar as suas dicas em meu blog.